Most people are only happy temporarily. But it isn't sustainable or permanent. You can buy temporary happiness with a bottle of wine even. But in the end its really a state of mind. Now that may sound a bit hokey and new ageish at first. But the more you think and reflect on it, the more sense it makes. Especially if you believe that consciousness can manifest your reality to some extent. Also if you adopt a state of mind filled with gratitude for what you have, you will more happy most of the time too. There is a New Age teaching that makes sense, which says that if you "want" something, you are basically telling the universe that you lack something, which does not help to manifest it and keeps you in a state of want. But if you are thankful for what you have and content, then the universe will give you more as a blessing, for your attitude of gratitude and appreciation. This makes some sense when you think about it. And it's something to definitely keep in mind and try out. However, science has shown that happiness may be largely due to brain chemistry rather than choice. So optimism or pessimism would appear to be a predisposition, which may or may not be changeable. These studies show that circumstances may affect this temporarily but not long term. For example, one predisposed to be negative and pessimistic may win the lottery and be elated for a few weeks or months, but eventually as they adjust to their new wealthy lifestyle, their predisposed state of mind would return and they'd become negative and cynical again. Conversely, one with a happy disposition could suffer a tragedy such as becoming paralyzed or losing limbs and be depressed for a while, but eventually as they adjust they will regain their happy positive disposition again. But even if this is true, there are other things you can do to be happier, besides using drugs that is. Personally, I think it's more important to have meaning or purpose in life than mere happiness. Every great book and film has meaning in it. If you think about it, your favorite films and books are your favorites because they are the most meaningful, not the most happy. Deep seated meaning is longer lasting and touches your soul, more so than temporary happiness or pleasure does. Having interesting new experiences is very important too. They produce both happiness and meaning, and exercise and stimulate your mind too, thus keeping your brain active, young and healthy. What typical Americans and Taiwanese don't understand is that being in a safe, sterile, structured environment all the time (e.g. like in middle class American suburbs and Taiwanese environments) will kill the soul. You see, without obstacles, challenges, risks and new experiences, the soul cannot grow or evolve. Life and human existence were not meant to be completely safe, sterile and artificial. One can be a goldfish in a fishbowl and live completely safe with free food in a sterile environment. You could say thats not a bad life too. However such a life would be meaningless and boring and kill your soul. There would be no new meaningful experiences or special memories. Nothing to grow or evolve your soul. I know thats an extreme example but you get the metaphorical point. Nature does not evolve in such environments. Such environments do not create special memories or meaningful experiences either. They only result in boring routines that kill the soul and make one lifeless, which you can see in the faces of people there. Yet thats the kind of environment that America, Taiwan and Japan attempt to create. Thats why people in less developed and less modern countries (e.g. Russia, China, Eastern Europe, Latin America, Mexico, Cuba, India, Southeast Asia, former Soviet republics) usually seem happier, freer and more open, relaxed and carefree. Not so serious, stern, rigid and uptight as Americans and Taiwanese are. And they are more soulful and authentic as well. Furthermore, their environment has a much more positive and freer vibe as well, one that allows you to really have fun and "let loose", laugh a lot, joke a lot and laugh loudly too, all of which are considered inappropriate in repressed American and Taiwanese cultures. In short, such cultures allow you the freedom to BE YOURSELF, which is the ultimate freedom, even if you don't get to vote in any elections. Being yourself is far more relevant to freedom than any democratic system can offer, which is mostly an illusion anyway, as we all know. Also they allow you the freedom to connect with others and form true meaningful friendships and relationships with others as well, unlike the superficial friendships and acquaintances that you usually get in the USA and Taiwan, which don't last and were fake to begin with. This is because people in such freer, less developed cultures do not live in sterile environments that are overly safe, rigid and repressed with too many rules and standards. They live in chaos and have learned to accept and celebrate it. Once you embrace the chaos around you and not try to control everything, you become more free, liberated, carefree, relaxed and less uptight. Only then can one be truly free to be oneself. This is something most Americans and Taiwanese do not grasp unless they are seasoned travelers with good observation skills and introspection skills, which are especially lacking in young people. You can see all this as you travel to more countries that are not first world. Thats why me and my friends feel much more freedom outside of America and Taiwan. Once you experience all this and see what I mean, you will understand and see the light. However, once you see the light, you cannot unsee the light or get accustomed again to the darkness and repression of America and Taiwan again. As Einstein said, "experience is the greatest knowledge and teacher, not books." Anyway, those are my lessons, observations and experiences. Hope they are meaningful to you all. I live in Ukraine now for more than half of the year and have permanent residency here. There is a more noble life here and a quieter pace of life. Men are respected and appreciated for who they are without games. I am not more or less happy in or out of America. I generate happiness, as Winston said in his article. Nicely said. 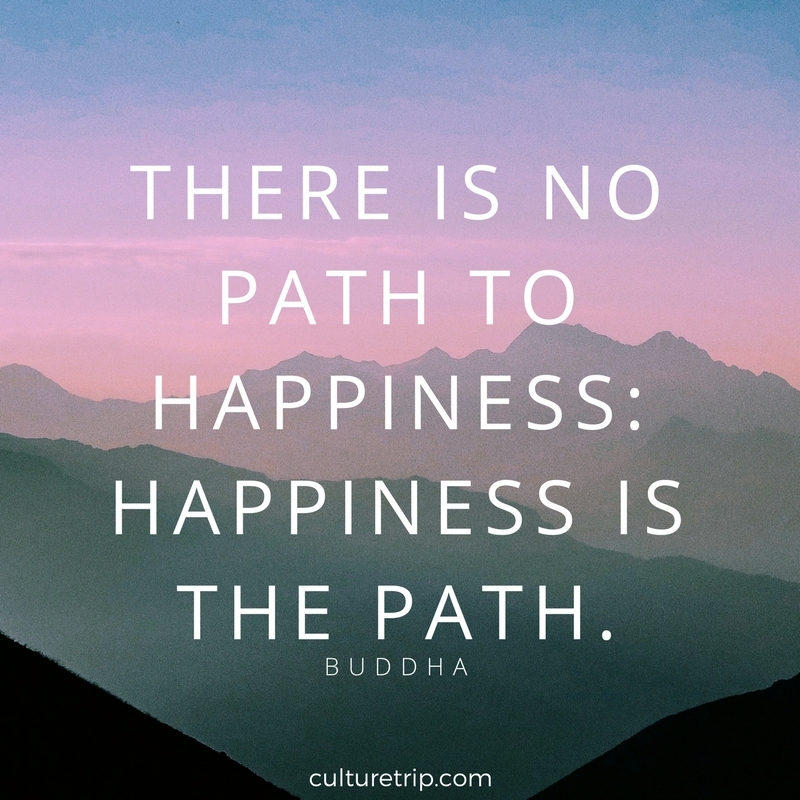 Important lessons on happiness and meaning in life. Visit How to Find Meaning in Life is an excellent online platform from where you can find the meaning of life.